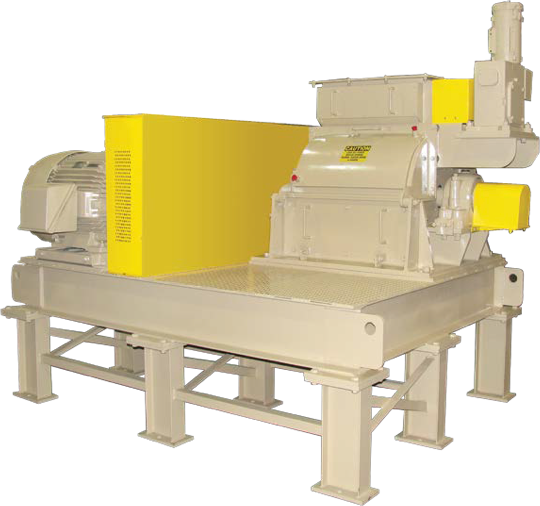 With over 150 years of continuous service in the manufacturing and supply of industrial shredders, grinders and granulators, Jordan Reduction Solutions leads the way in material processing and size reduction solutions. 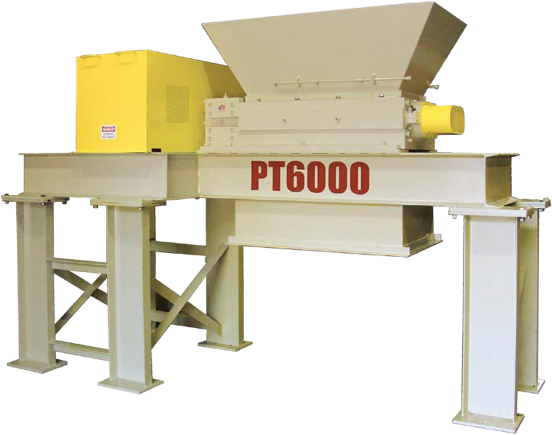 All Units Still Proudly Made in the U.S.A.
Low speed, high torque, dual shaft Shredder designed for rugged, high volume shredding. From small to large applications, Jordan Reduction Solutions makes a shredder, grinder or granulator to fit any need. Whether your project is for paper, plastic, rubber, tires, white goods or an array of other products, we have the equipment you need to handle your lightest to most demanding size reduction needs. We offer a high performance Grinder line with engineered performance holding design patents as far back as 1925. We have continued to enhance our equipment to be the top performing and most reliable grinder equipment offered for size reduction needs. Grinder applications include plastic, rubber, wood, fabric, and all other industrial materials requiring grinding, destruction, or size reduction. 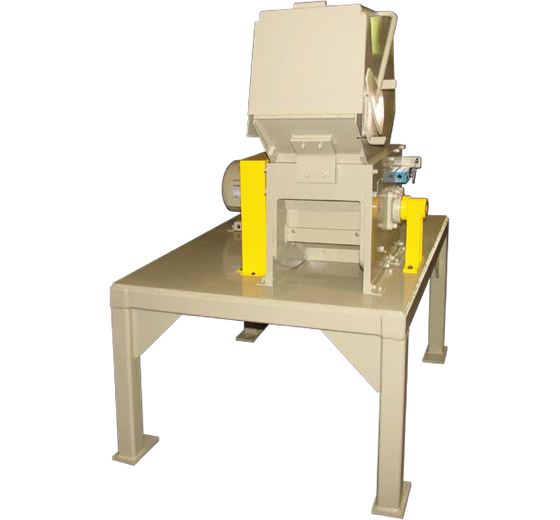 The JRS Industrial Granulator is a high speed, open rotor design that produces a fine grind of various materials on a smaller footprint than full-sized grinders. These units are typically used in plastics recycling but can be utilized for much more. They feature a custom hopper for each application and discharge options from conveyors to air transfer systems. Often, a single piece of equipment just can’t get the job done. We engineer and develop custom systems complete with conveyors, pneumatic separators, magnets, dumpers and many other ancillary equipment options. Jordan Reduction Solutions is proud to continue a legacy of quality, durability and performance that has made our industrial shredders, grinders, and granulators second to none. Our complete line of size reduction equipment and recycling equipment are designed to process plastics, vinyl, rubber, PVC, carpet, tires, wood, textiles, and many other materials. As the OEM successors to Mitts and Merrill, we are dedicated to continued excellence in industrial shredding solutions. With units still in operations over 50 years after their installation, we can proudly say that our equipment will outlast anything on the market today. We want to be more than just another source for your shredder equipment needs. We want to be a part of your team – helping you find the right solution at the most economical operating cost. Find out how Jordan Reduction Solutions can help solve your material processing and size reduction needs. We are experts in grinding plastics, rubber bale grinding, shredding of textiles, cardboard shredding, wood pallet grinders, and processing equipment for biofuels resources. 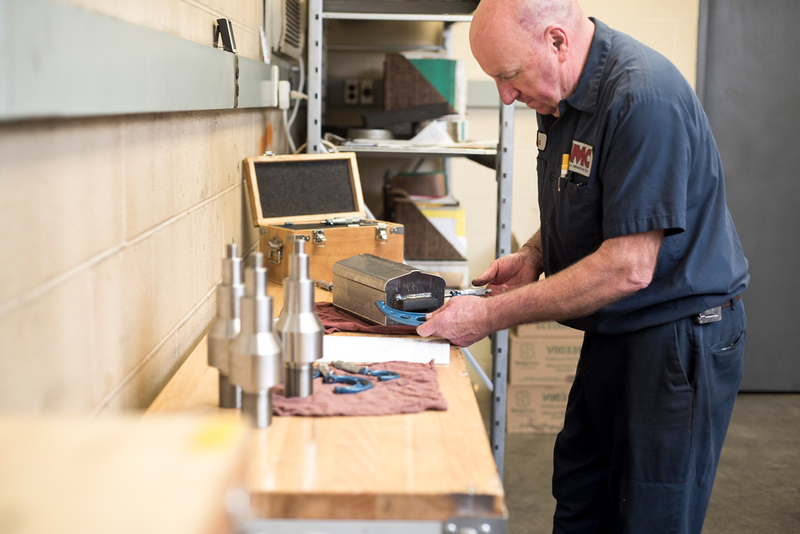 We stand behind our products with a Parts and Service department designed to keep your equipment up and running.